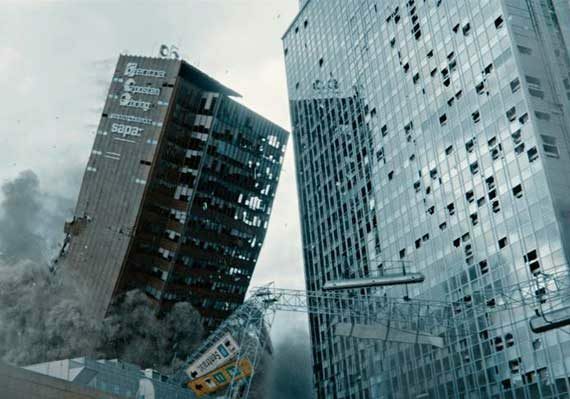 The most popular Norwegian film of the season was John Andreas Andersen’s disaster movie The Quake (€7.5 million, 582,309 admissions), produced by Fantefilm and ranked second in the annual top ten. The other top local flicks were Harald Zwart’s historical drama 12th Man [+] (€4.1 million, 341,613 admissions), Rasmus A Sivertsen’s animated film Louis & Luca — Mission to the Moon (€3.8 million, 381,069 admissions), Arild Fröhlich’s comedy Opportunity Knocks [+] (€3.2 million, 263,244 admissions) and Erik Poppe’s drama U – July 22 [+] (€3 million, 247,956 admissions). All five of the most successful domestic movies were released by Nordisk. Moreover, the most-viewed international hits were Ol Parker’s musical Mamma Mia! Here We Go Again [+] (€8.8 million, 701,638 admissions), Christopher McQuarrie’s action flick Mission Impossible: Fallout (€5.3 million, 383,967 admissions), and Anthony and Joe Russo’s superhero flick Avengers: Infinity War (€4.6 million, 344,138 admissions). 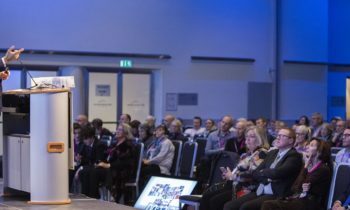 While Norway saw a considerable increase in theatrical admissions, Sweden experienced a growth in the local market share but an overall 4% drop in terms of cinema-going. However, for Swedish films, in 2018 admissions were up 33% on 2017, and the domestic market share reached 16.4%, a 4.5% hike compared with the previous year. The most-viewed film of the season was, unsurprisingly, Mamma Mia! Here We Go Again (€11.3 million, 968,066 admissions), followed by Avengers: Infinity War (€6.7 million, 503,779 admissions), Ryan Coogler’s superhero film Black Panther (€5.8 million, 450,556 admissions) and Bradley Cooper’s musical A Star Is Born (€5.2 million, 440,647 admissions). The most successful Swedish movie of 2018 was Hannes Holm’s A Moon of My Own (€3.8 million, 354,411), set in the 1970s and revolving around the life of popular folk songwriter Ted Gärdestad (Adam Pålsson). Finally, other well-received domestic productions that did not make the top ten were Felix and Måns Herngren’s comedy The Sunny Side [+], Filip Hammar and Fredrik Wikingsson’s dramedy The Cake General, Josephine Bornebusch’s new episode in the JerryMaya saga, JerryMaya’s Detective Agency — The First Mystery, Maria Blom’s family film Monky [+], Pernille Fischer Christensen’s biopic of writer Astrid Lindgren, Becoming Astrid [+], and Victor Danell’s low-budget film The Unthinkable.